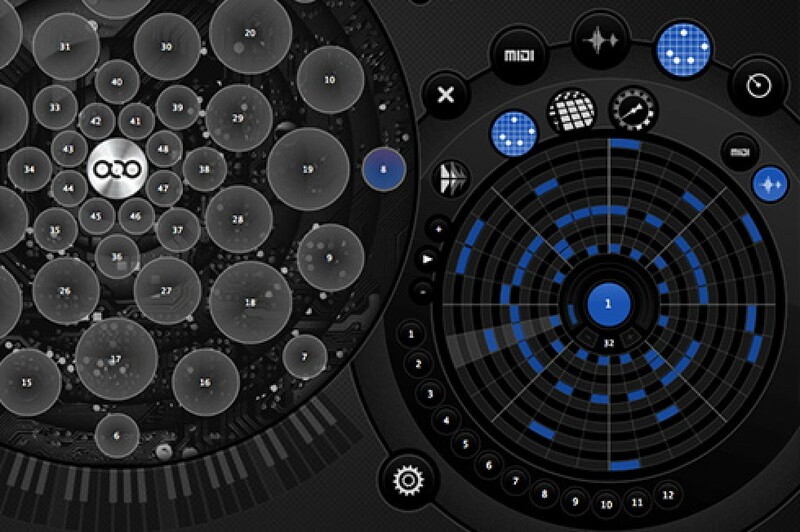 AlphaLive™ is a standalone application that enables the AlphaSphere to operate as a number of common devices found within electronic music production. 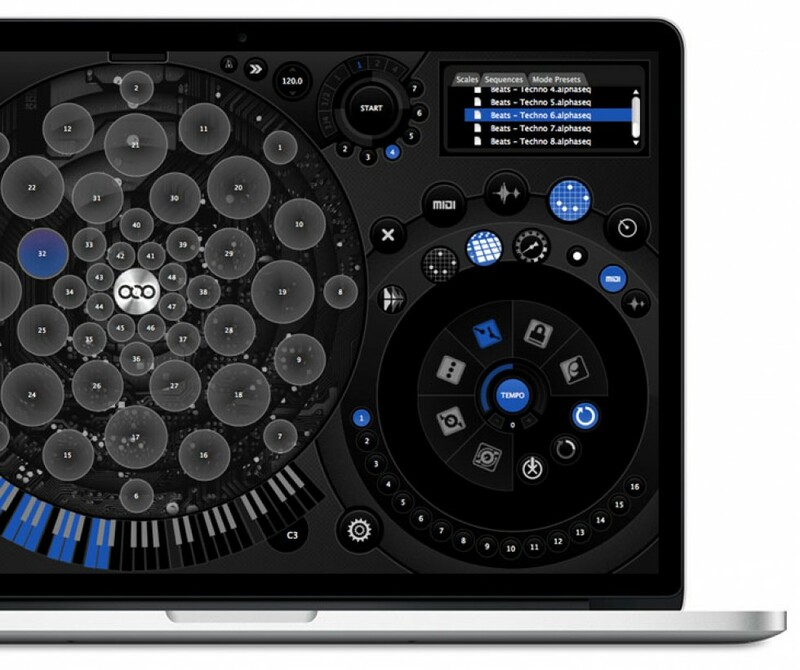 Presented with an attractive and intuitive interface, the software allows you to program the functionality of the AlphaSphere to a highly customized level, ultimately creating an expressive electronic musical instrument and controller that is perfect for composition, performance, and production. AlphaLive™ has been designed and developed to allow you complete creative freedom, without software restrictions and in the most intuitive environment possible. You can mix and match modes and settings across the pads for completely custom layouts of functionality. AlphaLive™ is fully open-source and released under the GNU General Public License version 2.0. The software is constantly evolving here in terms of integrating new features and improving its performance and usability, but we encourage our users to get involved with their own hacks and collaborations. 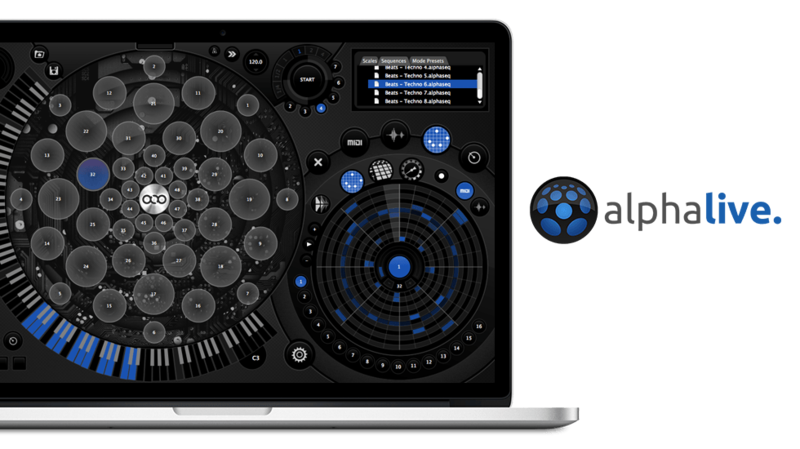 AlphaLive™ contains three main modes that enables the AlphaSphere to act as a MIDI controller, a sampler, and a step-sequencer, as well as a fourth ‘Controller’ mode that contains an extra set of functionalities such as OSC output. AlphaLive includes a set of Pad Behaviours that determine how the physical interaction with a pad controls the playback of an audio sample, sequence, or MIDI note; a set of 10 effects for modifying and modulating audio samples and sequences; as well as a global clock that allows synchronization and quantization for pad playback and tempo-relative effects. AlphaLive comes with a 1GB audio sample library containing drum beats and melodic loops, as well as a set of drum construction kits. Setting pads to MIDI Mode enables the AlphaSphere to act as a MIDI device that can interface with your Digital Audio Workstations and MIDI soft synths. In this context AlphaLive can be used as a MIDI mapping editor to set the MIDI functionality for the different pads set to this mode. A pad set to MIDI mode can send two types of MIDI message at anytime – note on/off messages from the touch interaction and various types of continuous MIDI messages with the depth/pressure interaction. 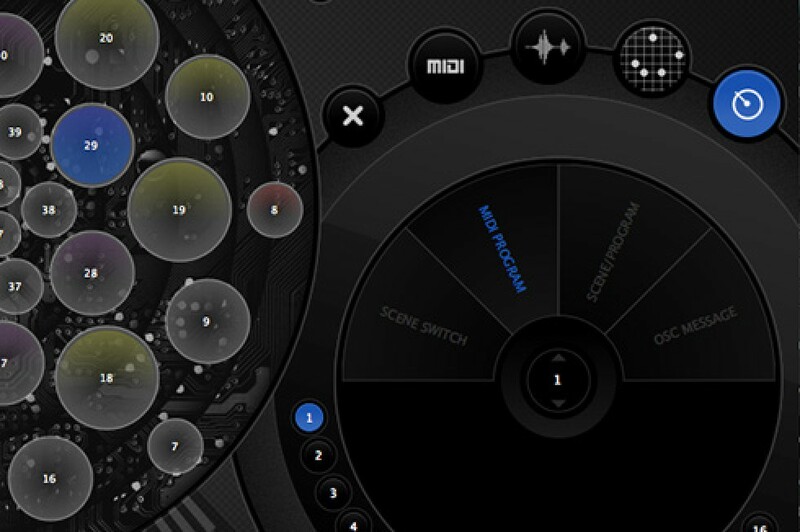 As a MIDI device the AlphaSphere can be programmed to be a polyphonic aftertouch- enabled, multichannel instrument, and AlphaLive comes with a set of notational scales and arrangements for mapping notes over the ‘sphere. 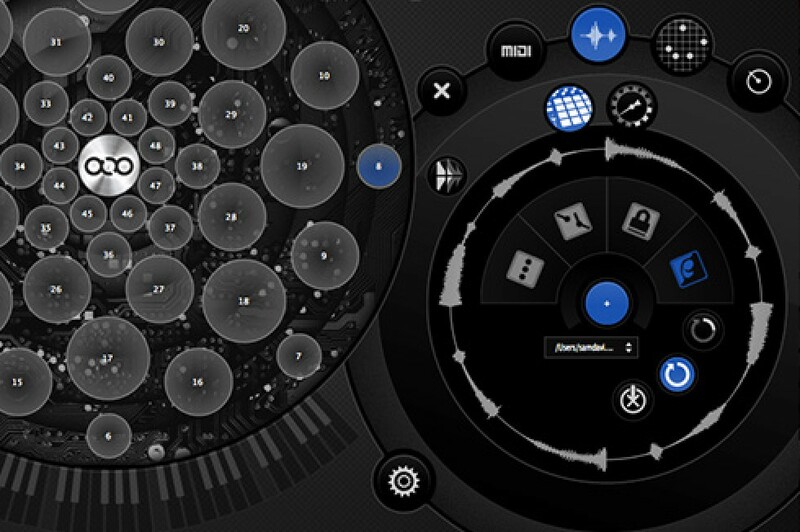 Setting pads to Sampler Mode allows the AlphaSphere to trigger, loop, and manipulate audio samples directly in AlphaLive without the need for external MIDI software. The included filters and effects can be applied to individual audio samples and modulated in realtime using the pads pressure. Sampler Mode is perfect for looping beats and melodies to build new musical arrangements, as well as for applying single drum hits to pads for using the AlphaSphere in a percussive context. The supplied audio loops and drum banks can be easily and intuitively mapped to the pads of the AlphaSphere, and the included presets provide instant access to a range of sounds and settings. 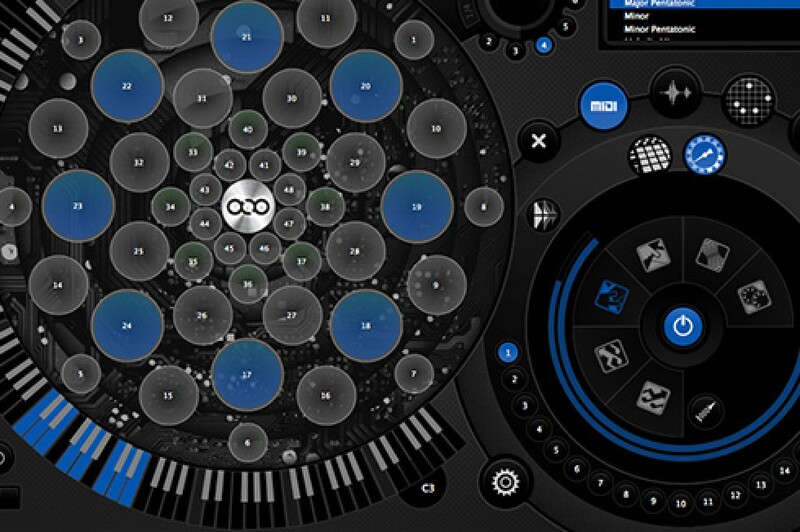 Setting pads to Sequencer Mode allows you to record and draw a set of up to eight 32-step step sequences of MIDI notes or audio samples for each pad on our circular sequencer interface, which can then be looped and manipulated. The pads pressure can be set to send some kind of continuous MIDI data when sending MIDI sequences or manipulate audio sequences with effects, however the pressure can also be used to switch between the different sequences on each pad to create new ‘on-the-fly’ arrangements. The notational scales and arrangements and drum banks found within the MIDI and Sampler Modes can easily be applied to sequences also. Setting a pad to Controller Mode allows you to apply a number of other functionalities to the AlphaSphere. Pads can be set to transmit Open Sound Control messages with dedicated IP addresses and port numbers, allowing multiple devices/sources on a network to be controlled by the AlphaSphere. This features is perfect for communicating with OSC-enabled software such as Max/MSP, Pure Data, and Processing. Controller Mode also allows for pads to be used to switch between scenes/settings within AlphaLive, as well as to send MIDI program change messages to change settings within external MIDI software and hardware. AlphaLive is an open source application released under the GNU General Public License version 2.0. View and download the source. The AlphaSphere firmware is open source under the GNU General Public License version 3.0. View and download the source code on GitHub. View the AlphaLive reference manual for detailed instructions on how to use the software to program the AlphaSphere.